Hungry for some funny? Sounds like the new competitive carving satire Butter might be what you're craving, at least according to its cast who hit the red carpet last night for the NY premiere! 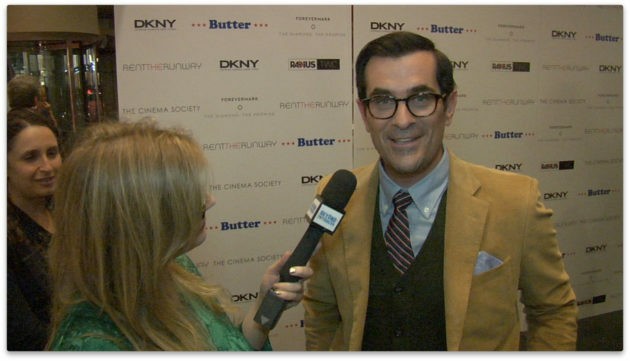 Jennifer Garner, Olivia Wilde, Modern Family's Ty Burrell and more were all on hand for the creamy fete hosted by The Cinema Society along with DKNY, Forevermark, and RentTheRunway.com -- and they all went out of their way to assure audiences that Butter is NOT a political comedy. So then what is it? To find out, watch my video interview below! Butter is On Demand and at Amazon, I just rented the movie to see at home. I love this! Americans don't have names like "pickler", that's for sure, and they DON'T EVEN EAT BUTTER!!!!???? Who made this commie gay junk???? So, which of Americas self-imposed transoceanic enemies were assigned to barf up this crappy junk???? The best thing in Indian or Pakistani videos, whether it is music, movie or even funny ones is that they are always the most attractive ones. I also like to see Desi Videos Online. Thanks for writing this post, I was some what familiar with this topic. It’s always nice learning new things.